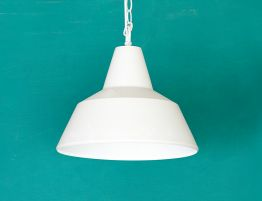 The Industrial Cast Pendant in white offers a striking, minimalist modern pendant ceiling light with a vintage industrial feel to it. 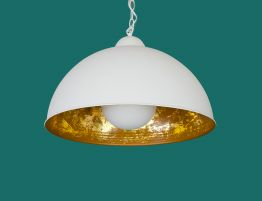 This pendant light offers a white metal outer finish and a burnished gold interior that reflects warms and adds just the right illumination to your surroundings. With professional lighting design and upscale modern lighting, you can elevate your design and bring to it that almost indefinable something that pulls it all together. 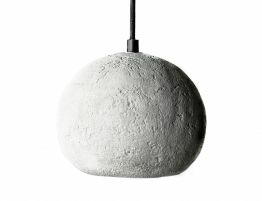 Great room lighting is the final element of exceptional design. 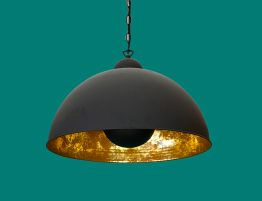 Let this vintage inspired metal pendant light add visual interest and a bit of an industrial vibe to your space. 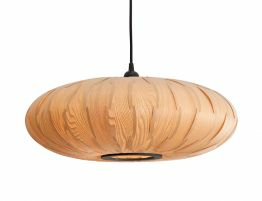 This contemporary pendant lighting collection looks great as a single piece hung alone over a smaller dining table or several of these along the length of a larger table. 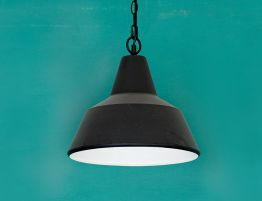 As the name implies, these suspension pendant lights drew their inspiration from the industrial lighting designs of the early 1900s.